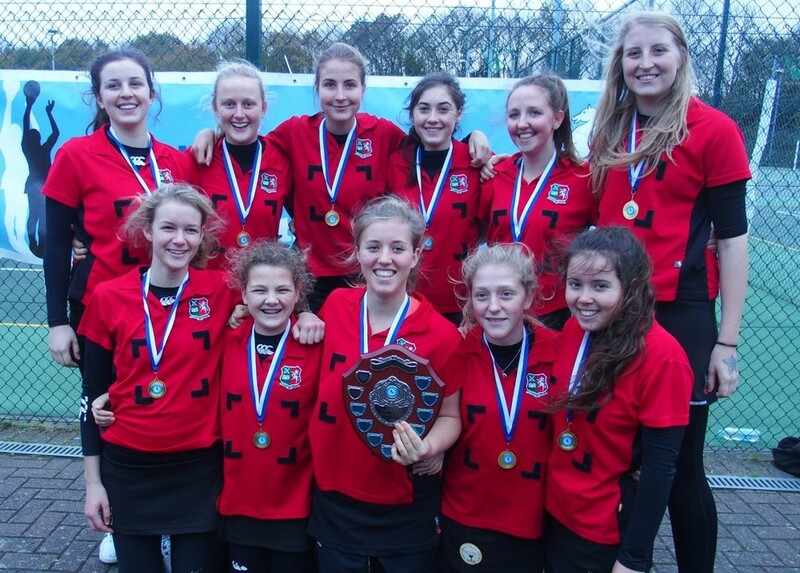 Tonbridge Grammar School County Netball Success! On Saturday 28th November, Tonbridge Grammar School Under 14 and Under 16 Netball Teams travelled to the Kent County Under 14, Under 16 and Under 19 Netball Finals at Rainham School for Girls. The competition saw the top eight qualifying teams from each age group compete to see who would become Kent County Champions. The winners and runners up in each age group would qualify to represent Kent at the London and South East Regional Finals in January. The Under 14 Team made a flying start, winning their first four games very convincingly. Then came a thrillingly close match versus Sevenoaks School. The game was end to end, and until the last couple of minutes of the game, Sevenoaks School kept their composure and led throughout. Tonbridge Grammar School were finally successful in converting an opportunity from a turn-over ball, and edged the match in the dying seconds 10-9. All that then remained was for Tonbridge Grammar School to remain focused on their own performance in the last two games, which they did very well, finishing the competition with seven wins out of seven. The Under 16 Team had a trickier first game, beating Chatham Grammar School 11-7. Some of the games in this age group were a little tighter, particularly again against Sevenoaks School, but games were also hard fought against Benenden School and Invicta Grammar School. However, Tonbridge Grammar School continued to impress, keeping control of play, working hard in defence and producing fine shooting performances to ensure that the hard work was rewarded with goals. Both teams won all of their matches to finish the day as Kent County Netball Champions. A huge thank you for the excellent parental support and to Julie Cross for all her coaching efforts with the girls. A congratulations must also go to Sevenoaks School who also qualified as worthy runners up in both age groups.